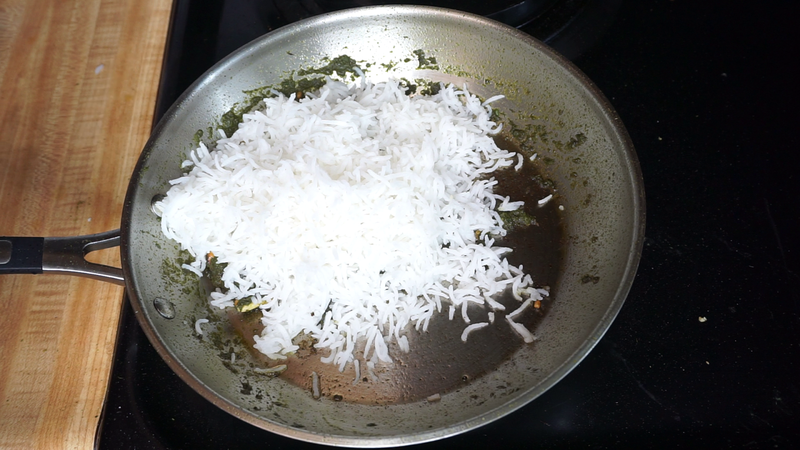 Mint Rice is a flavorful and Refreshing recipe with lot of health benefits. 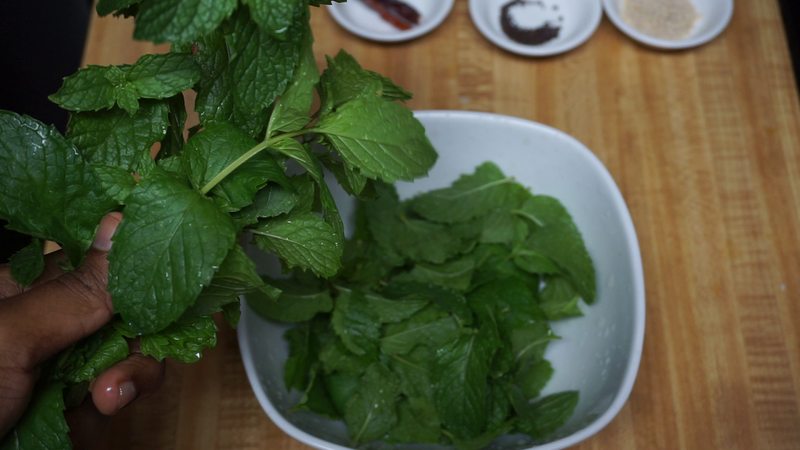 This recipe can be made very easily and tastes wonderful.whenever you run out of time you can make this awesome mint rice because it can be made quickly.Fresh mint taste better than store bought ones,so always use fresh mint. Mint helps in Digestion and soothes stomach in case of any inflammation.It is also a quick remedy for nausea and headache. 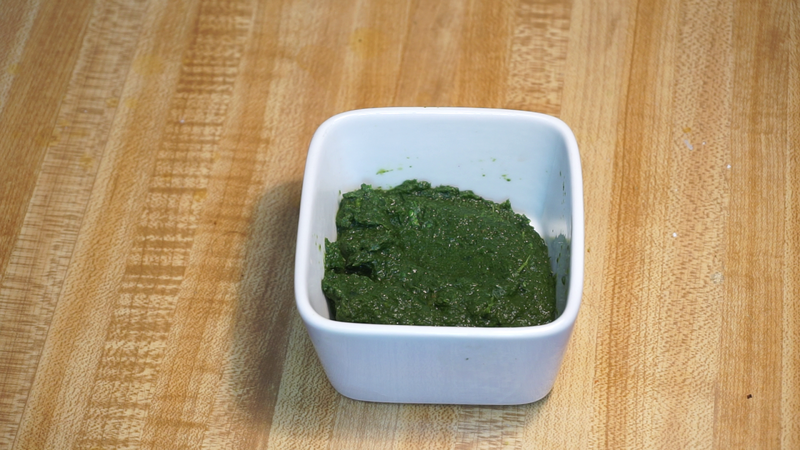 This refreshing and aromatic mint rice is totally a forgiving recipe. 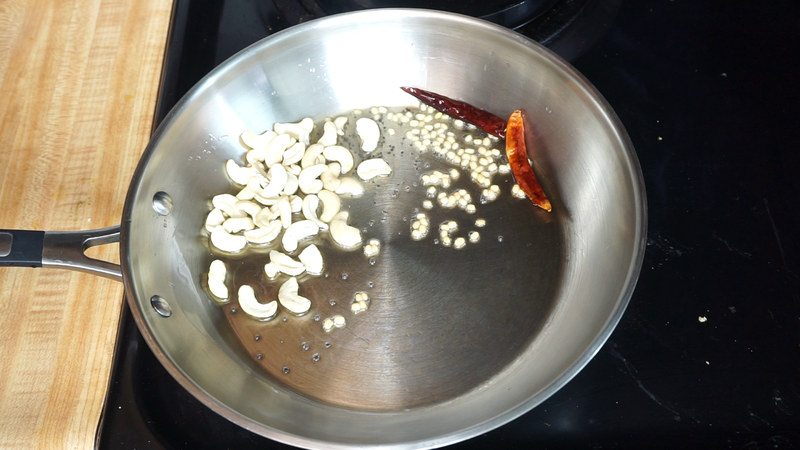 In this recipe I have added Cashews you can also replace cashews with peanuts and Chana Dal. 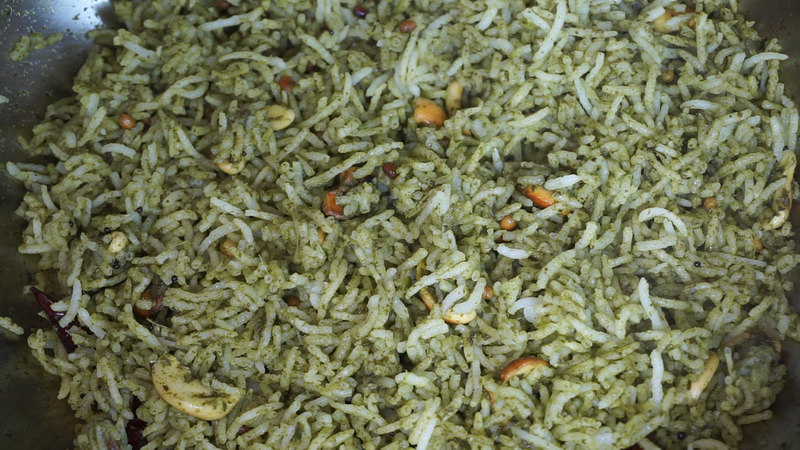 Cashews adds a unite taste and richness to the rice.This is an easy lunch box recipe packed with love and taste. 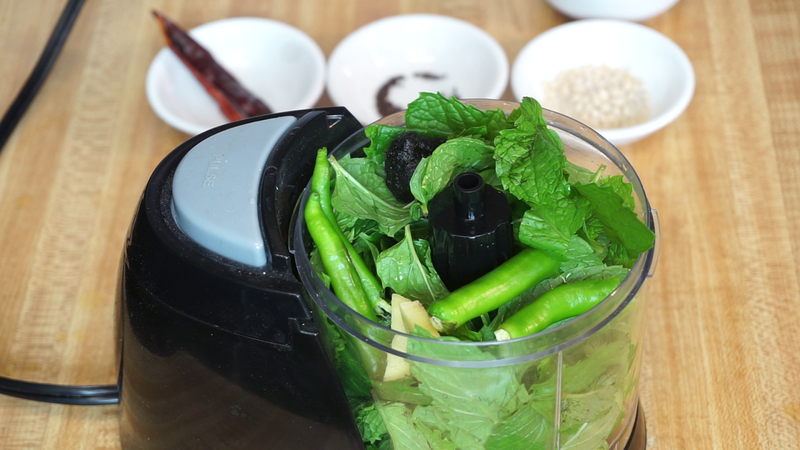 Step 1) First lets make pudina paste (Mint paste).Clean the mint and remove the leaves from the stem.In a blender add the mint leaves , 1 small ball of tamarind , 2 inch Ginger, 2 green chilies and grind it to a smooth paste. 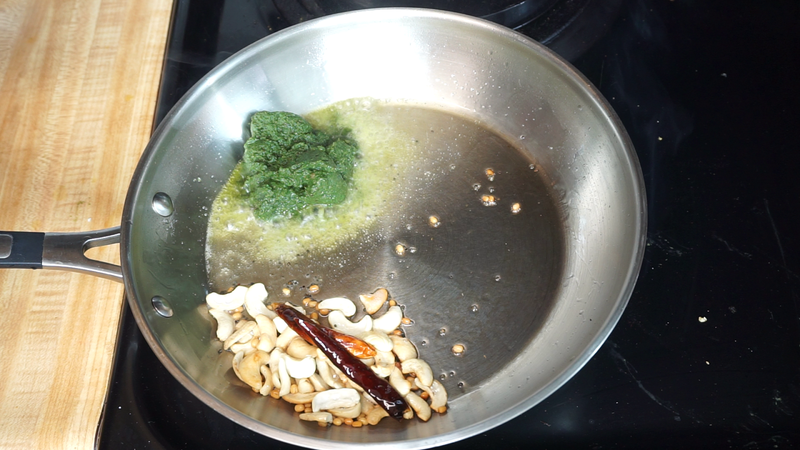 Step 2) In a pan heat 1 tbsp oil, once the oil is hot add some mustard seeds, urad dal(skinless black gram), 2 dried red chilies and roast it until the dal turns golden.Then add 15-20 broken cashews and again roast it until the cashews are golden.You can replace cashew nuts with peanuts if you like. 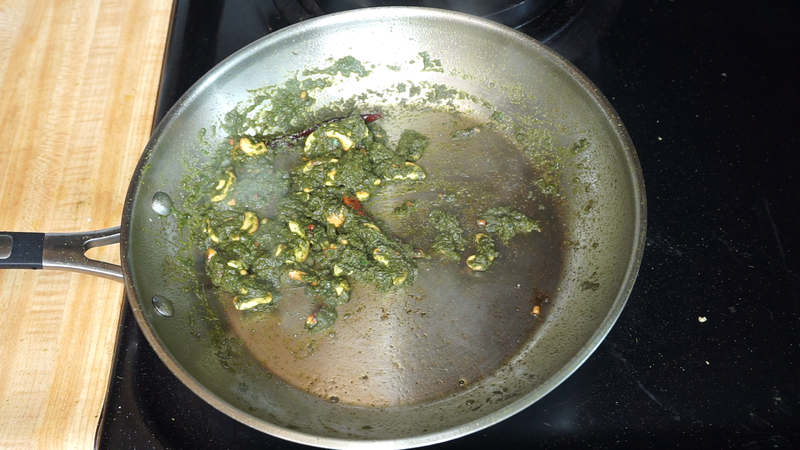 Step 3) Then add the freshly ground pudina paste / mint paste and cook for 2-3 minutes until the paste thickens.If you have added water while grinding then cook for few more minutes to thicken the paste.If its is watery then pudina rice will be clumsy and the rice wont stand separate.Also add required salt. 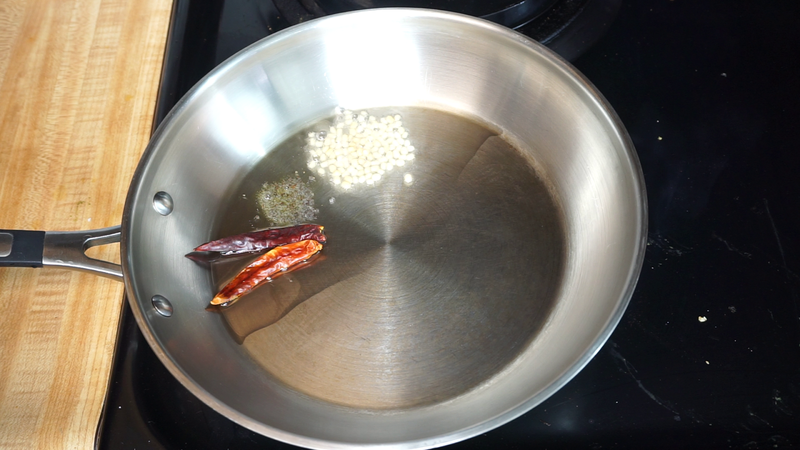 Step 4) Once the paste becomes thick add the cooked rice (I have used Basmati Rice) and mix gently and carefully do not break the rice. That's it so simple our delicious Pudina Rice / Mint Rice is reday to be served.Happy Cooking !! !